This post was compensated by DOLE Canned Fruit, but all thoughts and opinions expressed are mine. 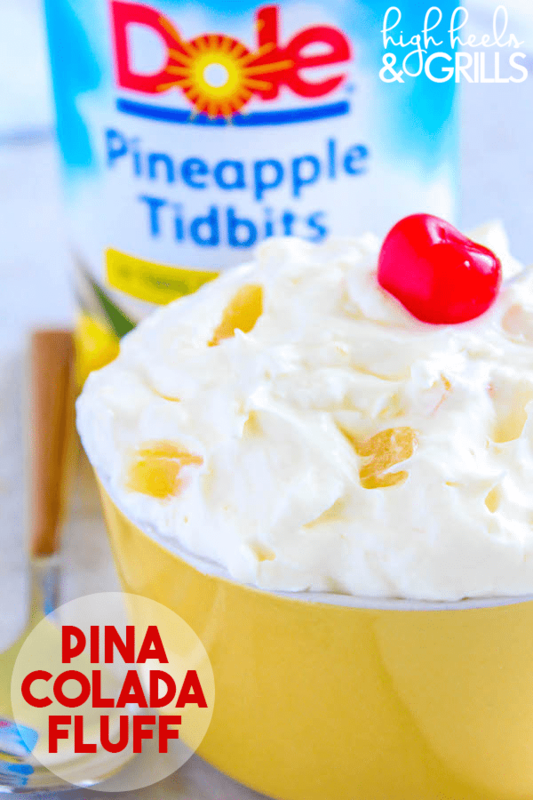 Pina Colada Fluff – Whipped topping, vanilla yogurt, coconut pudding, coconut flakes, and DOLE Canned Pineapple Tidbits make this dessert a total dream! Raise your hand if you love fruit. *Sarah raises both hands*. If I could live off of it I would. Addi is the exact same way, too. If she had to choose between chicken nuggets or a banana, she would choose a banana every day. I know, I can’t wrap my head around it either. Growing up, my mom used to buy DOLE Mandarin Oranges by the flat because my little brother and sister and I would eat them like nobody’s business. Now that I’m older, I still love mandarin oranges and oftentimes pair them with cottage cheese. Don’t knock it ’til you try it. It’s amazing. I love how quick and easy it is to use DOLE Canned Fruit in a variety of recipes. 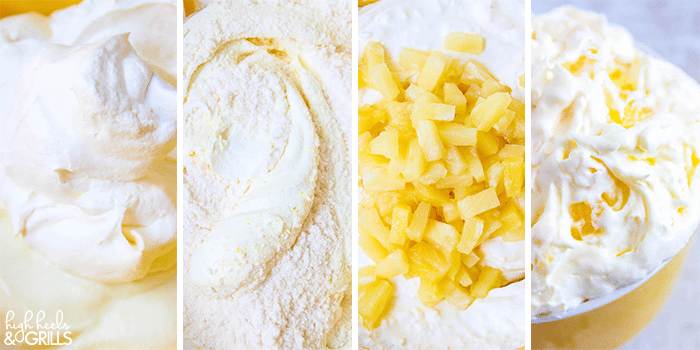 Like these Copycat DOLE Pineapple Whips. You know – the ones from Disneyland that we are all obsessed with? Those taste just like the real thing and use DOLE Canned Crushed Pineapple. The options are endless with all of the canned fruit that they have! Plus, all of the DOLE Canned Fruit options that are available to your are naturally cholesterol free, fat free, and contain very low sodium. 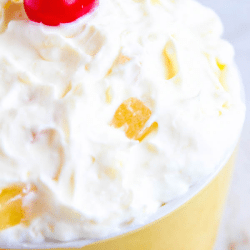 They are also rich in Vitamins A & C. You’re going to want to check them out and make this Pina Colada Fluff ASAP! 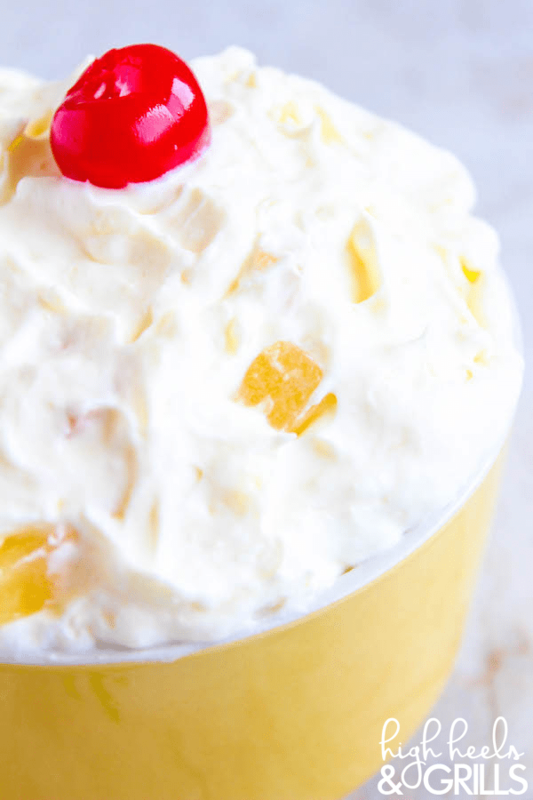 Pina Colada Fluff - Whipped topping, vanilla yogurt, coconut pudding, coconut flakes, and pineapples make this dessert a total dream! 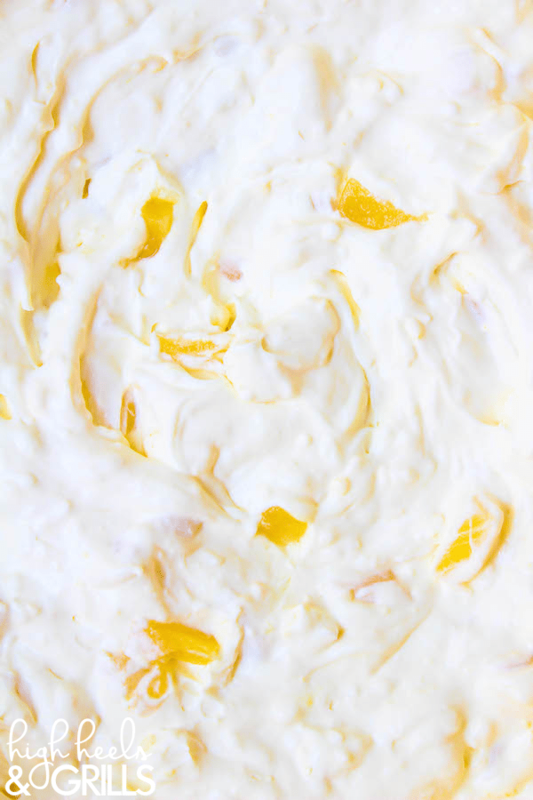 In a large bowl, fold the whipped topping into the yogurt until fully combined. Sprinkle the pudding over the top and mix well. Add the coconut flakes and pineapple and stir until fulling incorporated. Refrigerate for one hour and then stir again before serving.